Size of this PNG preview of this SVG file: 364 × 364 pixels. Other resolutions: 240 × 240 pixels | 480 × 480 pixels | 600 × 600 pixels | 768 × 768 pixels | 1,024 × 1,024 pixels. 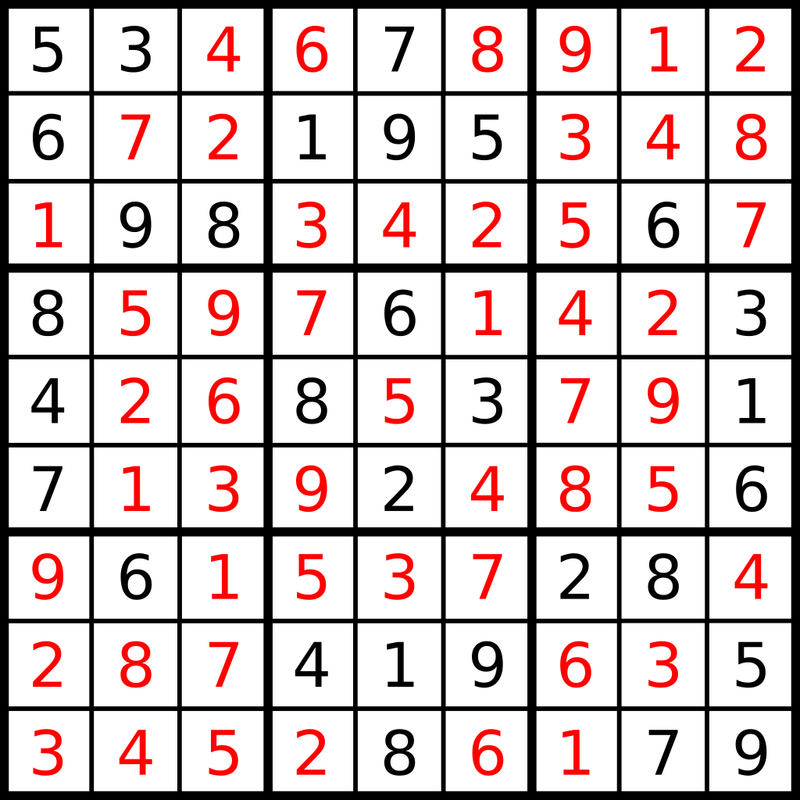 English: Sudoku puzzle with solution numbers marked in red.